Someone triggered your anger again? This morning, I was walking from the car to my office "lalalalala" and then I received a phone call which triggered my anger. I kept it cool and proceeded on towards my office and then received another phone call which again, pushed my limits and then the series of phone calls and arguments started. Sometimes when others test your limits, its very hard to keep it cool and get back on the right track. Somehow along the way, my head told my ridiculous emotions to "take it easy" and so I remembered some of the tricks I learnt from this motivational training course I attended last 2 weeks. 1. Firstly. Breathe in. Breathe out.Then only can you start thinking. 2. Bring yourself out of your body and be this third person, looking at yourself and the other party arguing. You'll realize how stupid the whole thing is. 2. Now question yourself, what is it that you want out of this argument? You for sure don't want it to go on and on and on, with both parties just saying the nastiest words which will only bring bad impact to each other. 3. Question yourself, why is this happening? Is it a misunderstanding? Always remember that arguments most of the time are due to two parties not seeing things on the same page. We just have to try to look at it from their side and try our best to understand, what is it that is causing this other person to be angry too. Rewind back to the moments on how this started in the first place. 4. Stop blaming the other party and start taking the blame yourself. 5. Think of how you can move on. Stop putting more oil to the fire. Be the water. Say sorry, tone it down, and try solving it realistically instead of emotionally. 6. Remember that not all issues can be resolved right that moment. So cool it down, and talk about it another time, when both are at a better mood. Don't try running away from it, because the issue will alwayus come back. Of course I didn't manage to handle it all that well but I managed it better this time around as compared to previous times.I also did say some nasty things in which, I regret. We always do that right? Regret for saying the wrong things when we're angry. But I hope this is a good self-reminder. I hope I can handle these arguments better the next time around. Too young to invest in property? It all started with Mr's idea for us to invest in property. 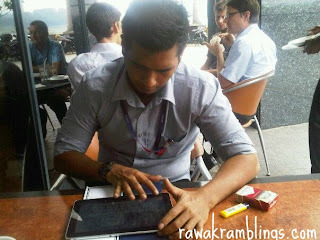 I've been doing a lot of research on popular websites like Mudah & iProperty to find out what's the market price like. I've also been asking around a lot on what's the best strategy. We viewed a few apartments already but none really suit our requirements. So last night, I went to view another apartment in Subang Jaya. This time I brought the investor expert, my mom. She initially asked me, "Why do you need to buy one now?" "Because it's a good investment ma! And you should check out this deal here..." and I continued explaining to her on the price etc. So still, she accompanied me in viewing the apartment, without any intention of being interested at all. My mom is the best when it comes to investing and saving money. I know she is the master when it comes to $$$. "So how ma? It's a pretty good deal right?," I asked her after the viewing appointment. "This is actually a really good deal you have here, but you're too young for this lah. There's risks. You're getting married soon, why don't you focus on that first?" "The younger the better. Less commitments. Less responsibilities. The duration for bank loan can be maximised thus smaller amount of money to pay per month, and higher monthly profit, right? And since I'm getting married soon, I'm gonna start having family commitments, the more reason to start investing now right?" Right? Or am I not right? It's a risk. But should I take it? I still need to think and further discuss with Mr. and my parents on this. So I'm back to my studies now after a 5-months break. I've got one more semester to go, precisely 3 more months. This final 3 months of studying and working can be quite a nuisance as I've got a mini-thesis to be submitted by the end of the semester - back to conducting experiments! Just like what I did in my final year degree. Urghhhh. I dislike research/thesis experiments very very much. Sometimes, I'm just too tired from work to even think about uni. I need to set appointments to meet up with my supervisor during office hours and I need to conduct experiments outside office hours. I'm not too sure how the coming 3 months is going to turn out. Work isn't helping much either. With the ongoing and upcoming project, I'm just soo caught up that I'm constantly worried on whether I can handle this. And then, there's the engagement and wedding preparation. Worry not! Let's just plan ahead.. plan and plan. Spend less time worrying, spend more time doing. JUST.DO.IT. Today, I stopped over Mr's studio during my weekend master class lunch break. 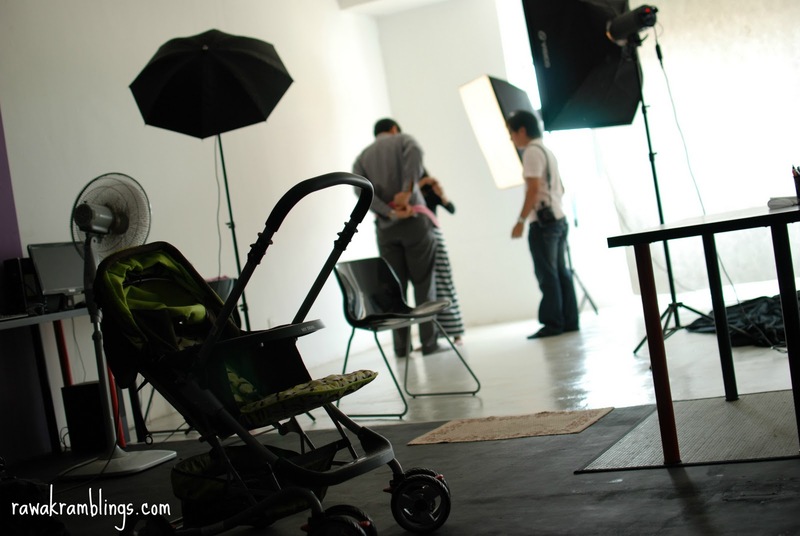 Tampak Karya rented their studio for a maternity shoot today! 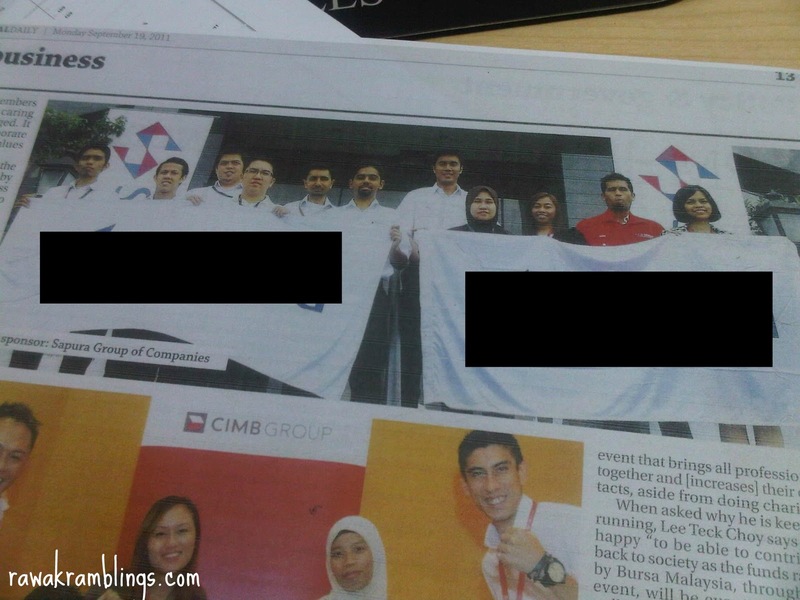 They're located at Bukit Jalil. So if you want to take awesome photos, this is the place yo! 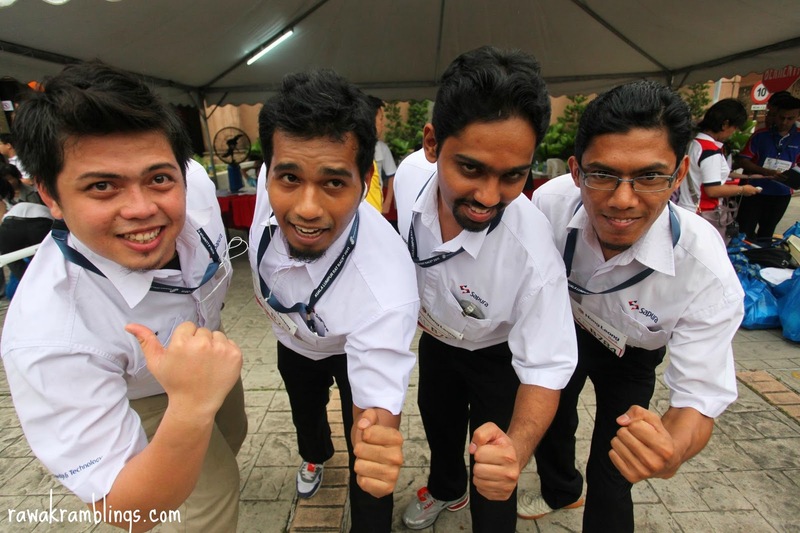 All photos courtesy of Arif Aizudeen. My Juice: This post is dedicated to my parents. I wrote this in my previous blog: August 2009. Just thought of re-sharing. As I grow up, I come to understand my parents very well, the reasons behind their every action. With my mom sometimes calling me up, telling me how worried she is about my two sisters at home; with cases of boyfriends and peer pressure and exam results. I now understand that fall out I once had with my mom. Although we both may not agree how we both handled it; (maybe I was trying TOO hard to show that I was all grown up and me being the eldest, it was her real first ever challenge), I knew that it simply was because she cared. With my dad telling me his concern on my brother's exam results, and on how he's socializing, managing his time and coping with peers. Which may also explain his ongoing lectures all these while on how life should be more meaningful and how we should always explore our uncomfort zones. (He questions why I should start working so soon when I will be doing that the rest of my life). I've always also admired how much interests my dad puts in my subjects and and how he's always giving encouraging advice on ways to tackle certain problem questions; from physics to thermodynamics. I have to say, my parents have done a very very good job in bringing us up, and I really admire them for it. It sure was a big challenge (and still is! - it will never end, will it? hehe) I wonder what took me so long to realize this. 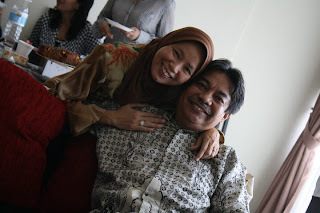 My only wish when I get married to my future husband is that I'll be as happy as my parents. I hope that I can bring up my kids as excellent as they've brought up me and my siblings. I want to be there for them whenever they need me, and I want to be involved with my children as much as they have in my life. My parents are my idol couple. I pray that my future husband will keep me happy, just like my dad, always putting that smile and laughter on my mom's face. i was having a conversation with one of my colleague today and he said something great which is " no matter what position you are, you are important. Without you, the company will not be complete". Greatness! i love that statement so much that I will not forget about it forever! Everyone seems to work hard for life but how many of us really take the time to invest in life after? No matter how rich or poor we are, when we die, we will be wrapped in the white cloth with is known as 'kain kafan'and placed in the the ground. Life is too short for us to brag. Everyone should be treated the same. Respect each others and you'll be respected and loved. Forgive and forget is one of the best attitude. Don't judge someone based on what you see or you heard. Judge base on the heart. We never know how a person is till we know the real he or she. Always pray for each other. 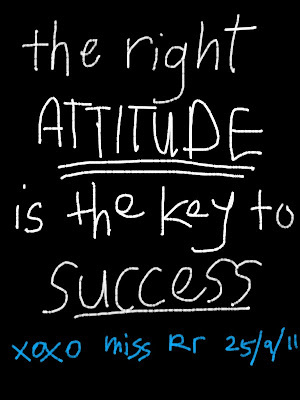 InsyaAllah God will bless you. The best charity is when the left hand doesn't know that the right hand had given out the money. There's been a death in my family. On Saturday noon, while I was attending Mr’s best friend’s wedding, Mom called informing me that my uncle had just fell down and was in critical condition in University Hospital. Right after the wedding, I came back home, showered and left to the hospital with my younger sister. Uncle had haemorrhage (blood pressure in the brain) and when he fell down, it burst. Doctor informed that there was nothing that can be done that we just had to wait and be prepared. We were at the emergency ward and the atmosphere was very sad and depressing. Only a few were allowed in at a time thus most of us were gathering outside. When I went in, I saw my aunty (Mak Teh) standing strong with a friend, talking to her. My cousin was reading the surah Yassin and so I joined her too. On Sunday night, he passed away. Mak Teh is a wonderwoman. I think she has very strong imaan that she accepts whatever it is that is happening. She was very calm and strong throughout the whole weekend, that none of us dared to even cry in front of her. Her strength gave her daughter and her siblings strength too. This is the first funeral that I’ve attended, where only a few teared; and mind you, only teared, and not cried. In Islam, we are not encouraged to cry in front of the deceased (in public) or even worst turn hysteria. We have to accept that this is Allah’s decision and it’s the best for everyone. We need to redha – meaning wholeheartedly accept to the decision to what Allah has decided upon. 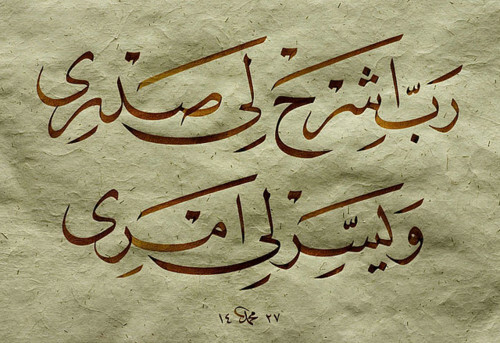 And to be redha, you need that strong imaan – that strong believe and faith in Allah. I was also surprised with how reliable my dad’s siblings were. All of them were there at the hospital, supporting this sister of theirs. Never once, was Mak Teh left alone. When my uncle passed, each and every one tried their best in assisting wherever they can. Some read the Quran, some helped rearranging furnitures at her house and place carpets for guests, some bought food and drinks, some handled the funeral processes, some informed others about the news, some stayed over Mak Teh’s and some just supported her and her daughter emotionally. We don’t know when Allah will take our life away. We need to be in a ready state every minute. Have a balance between life now and the life hereafter. 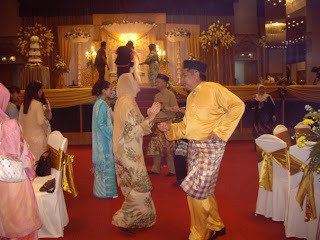 Me: Pa..I've been attending weddings every other week these days! Papa: Oh ya? I've been attending funerals every other week these days! Quoted from this article here. 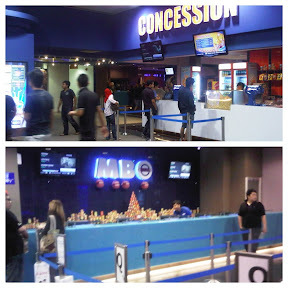 MBO Cinemas is now in Subang Parade! 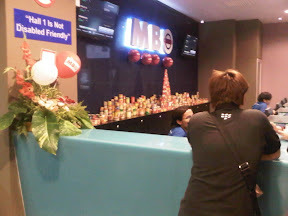 Last night after dinner, me and family decided to visit the newly opened MBO Cinemas in Parade. Awesome baybeh! We don't have to bother driving all the way to Sunway Pyramid or Summit for movies already. Dont have to make rounds looking for a parking space! Since it was a random plan, we didn't have any movies on mind, so we bought anything that would start soon : nasi lemak 2.0. It was a 1 Malaysia movie, directed by that guy who did that 'negaraku, negara kuku' youtube video. Such a creative director indeed. 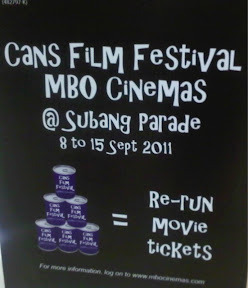 MBO Cinemas now have a promotion in conjunction with their opening week. Bring in any canned food in exchange for a past blockbuster movie ticket. One of the blockbuster movies shown yesterday was X-Men. Some of the canned food given by customers in exchange for a movie ticket. For further info, check out MBO Cinemas website. 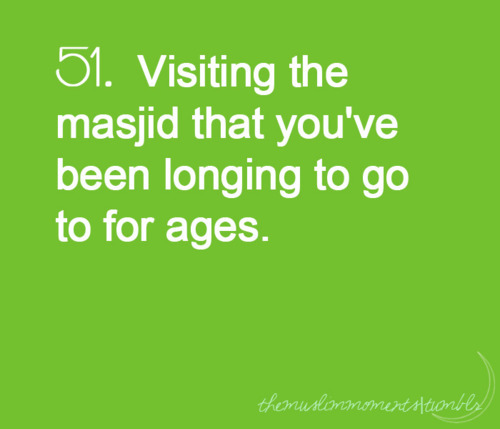 "I've passed this mosque a zillion times and I've always wanted to pray here but never did. 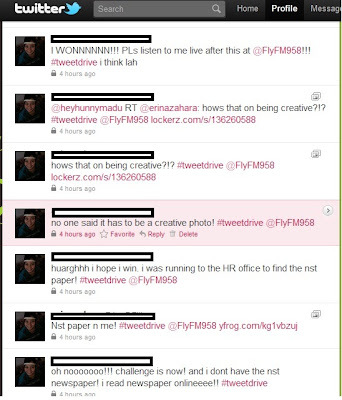 And here I am today.... ,"
I wrote this in my previous blog: October 2009. Just thought of re-sharing. I dislike it when people judge me for what my parents have earned. Saya rasa tak senang hati. I remember growing up, sitting in the co-drivers seat of our old volkswagen, with built in fan(because installing air-con was too expensive) and my side of the door opens at roundabouts. I remember that me and Eiman were allowed to buy one or two koko-jelly's per visit to Giant Supermarket (those Kit Kat's and Cadbury Chocs were a big no no). I remember how me and Eiman, slept together with my parents in my dad's new office (which only had one staff) and how we had to colour the building plans/drawings for potential clients (we were taught to become engineers from small haha). 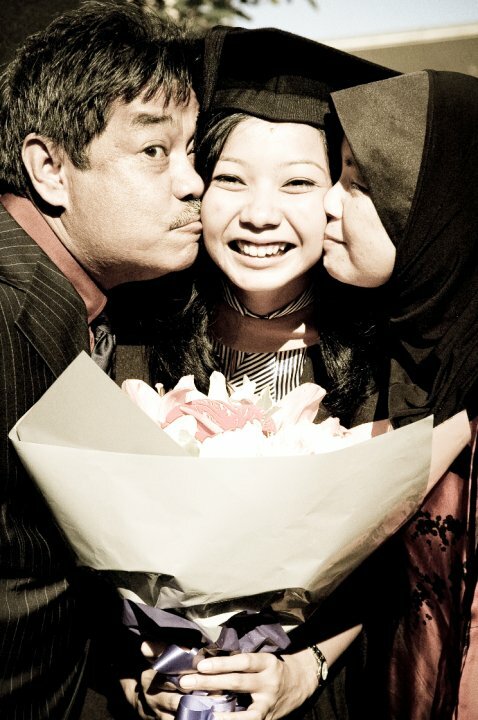 I remember how excited we were, jumping up and down, when my dad brought back a new proton saga, "Yay! Kereta ni sejuk lah, ada air-cond!" My parents worked really really hard to get where they are now. We don't own 4 BMW's or have a banglo house in Damansara Heights, but alhamdulillah, we're leading a stable life. So please, don't judge me when I receive money from my parents to spend on travelling, or on books, or on eating out every once in a while. Don't judge me when I'm thinking to put off my career journey for a few months, to appreciate what else life has to offer - that I can afford living with my parents for another year or so (which i'm sure that they're more than happy). Don't judge me when my parents spend money for their children, so that they get to experience life, out of the box. Seriously, it's not like I'm using their money to buy Calvin Klein jeans, or a Coach bag, or a Tiffany's silver bracelet to wear everyday. (I'm glad that they have also taught me the value of money). Saya bukannya nak cakap besar. Semua ni rezeki masing-masing. Hidup ni, kadang kala kita kat atas, kadang kala kita kat bawah. Tapi janganlah kita dengki dengan rezeki masing-masing. Semua ni hanyalah sementara sahaja. Now let me ask you a question, when you have worked really really hard, wouldn't you want to spend those money for your family too? Is it wrong? P/S: Tapi kan mama, kalau tolong jagakan cucu, you all tak kisah kan? Hehehe. Here are twelve tips for keeping your cool and staying calm amid life's situations – both big and small. It's easy to dramatize and make something a bigger deal than it is. When you are relating the problem to yourself, avoid the urge to magnify the negative. Strike the words always and whenever. You might feel like Stuart Smalley, but it can really help to re-frame the problem in your mind by saying things like "I can cope," "It's not that big a deal," and "I'm bigger than this." Don't describe or blog or tweet about the problem. Don't talk it over with your friends right away; let it stew a little in your mind so you can settle down a little. Sometimes, well-meaning friends will sympathize too much, which may only add fuel to your fire and get you even more upset. Here's one that helps me: I try to imagine my problem as a knot. The more I panic and pull on the ends, the tighter the knot cinches. But, when I adopt a singular focus, a calm takes over and I can loosen one strand at a time. Here's another technique: Do you know anyone whom you would describe as unflappable? Try to think of what this person would do in your situation. Note your patterns of exasperationAre there any specific situations that cause you to lose your cool? Look at specific patterns -- from time of day, to level of stress (or level of boredom), to blood sugar levels. Do you tend to lose it when it's too noisy – or too quiet? Knowing about your own patterns can go a long way in helping you keep your cool throughout the day. 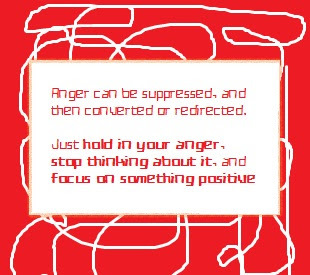 Reflect on times when you were able to successfully stay calm in a frustrating situation. Maybe it was a time when you wanted to yell at your spouse or your kids, but then the doorbell rang and you were able to instantly shift gears. Consider that you might be able to do this repeatedly, as long as you know your triggers – and some tips for keeping a calm mindset. Mr. is a professional photographer himself. He occasionally takes pictures for events (weddings, dinners etc.). 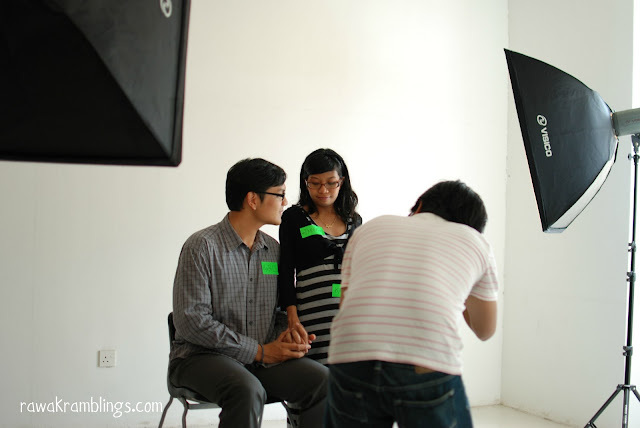 He and his partner have their own studio in Seri Kembangan (which is also available for rent, charged per hour) called the Wonderpixs Studio. So anyways. Ever since I purchased an Ipad 2, I've been loving the photography applications available via the Apple Store. I'll take (or curik hehe) Mr's nicely taken photos and edit them. Guess what? Mr. too has a new toy. Just two days ago, he got himself a Samsung Galaxy Tab 2 (10.1 inch) and has been downloading all these photography applications available via the Marketplace. 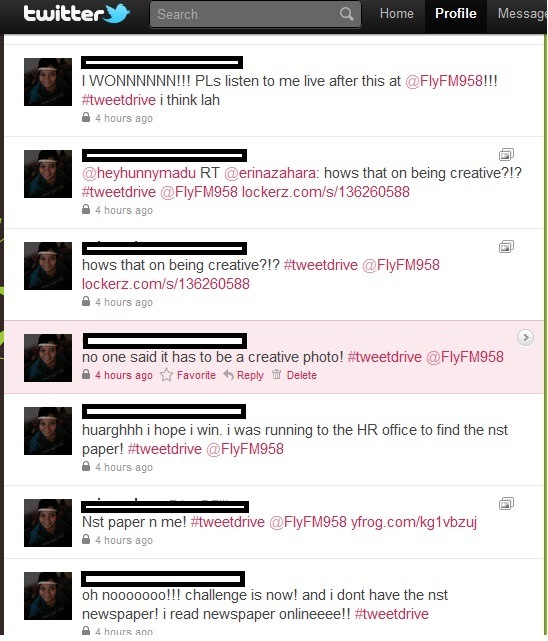 I was listening to Fly FM yesterday morning, and heard about the #tweetdrive challenge. 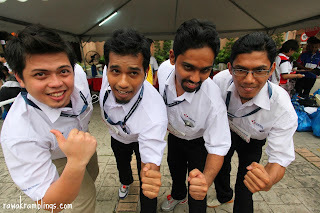 I've never been lucky when it comes to competition but still I told myself, "Lets try winning one of these challenges. I'm gonna listen to Fly FM in the office today,"
And so as I was doing my work, I heard Hunny Madu announced that the latest challenge is to "Take a picture of yourself with today's edition of NST newspaper,". So I ran to the Human Resource office, saw a colleague behind me and said to him, "SAMEER! Take a picture of me!" and handed him my phone. "HUH??" "Just take my pic! QUICKKK!". How's that on being creative?!? Huh? Huh? Thanks to Photo Layout & Diptic Ipad apps, I edited the picture in just 2 minutes and resend my twitpic to them.